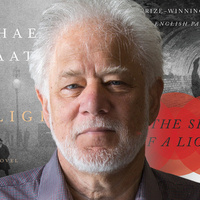 Internationally celebrated author Michael Ondaatje has influenced an entire generation of writers and readers with his aesthetic and artistry. In addition to winning the British Commonwealth’s highest literary honor, the Man Booker Prize, for his novel The English Patient, he has been awarded The Irish Times International Prize for Fiction, the Kiriyama Pacific Rim Book Prize, the Prix Médicis, the Governor General’s Award, and the Giller Prize. In the inaugural reading of the Subir and Malini Chowdhury Foundation Distinguished Speaker Series, Ondaatje will read from his most recent novel, Warlight, a dramatic story of unexpected characters set in the decade after World War II. Its narrative is as beguiling and mysterious as memory itself—shadowed and luminous at once. A discussion with USC’s renowned writer-in-residence, Geoff Dyer, and book signing will follow. Tueday, February 26, at 7 p.m.